Our Jesus for Asia Thailand Media Team is an evangelistic media ministry positioned to support the information technology needs of evangelism for the continent of Asia, particularly in the 10/40 Window, using digital media. Digital media in all of its forms is proven to be the most efficient way to reach the masses of people who do not have access to traditional means of delivering the Gospel. Hundreds and hundreds of towns and villages in Thailand have no Christian presence or influence, no Christian congregation or believer. But they all have access to technology such as DVD players or internet. The Thailand Media Team plays a key role in fulfilling the Great Commission in Asia by the development, production, logistics, and distribution of media evangelism content in the languages and context of the people living in Asia. 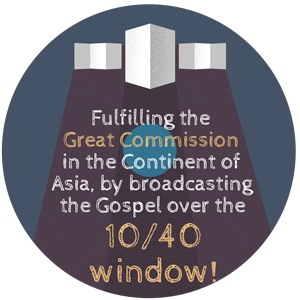 Satellite broadcasting seems to be the premier way to broadcast the Gospel over the 10/40 window from one launching pad to a vast audience, and into the millions of towns and villages spread out across the continent of Asia. DVD’s and CD’s hand-delivered by Bible Workers, pastors, and church members. Facebook Live Broadcasts from remote churches. The Thailand Media Team has a mid-size SUV outfitted with a broadcast-quality switcher that can go to any church or location and record and stream a church service to the web. Editing in a small rented house. The team consists of Thai Nationals with one American all working together in a harmonious whole. Their work primarily involves editing video from evangelistic series and revival meetings, and adding subtitles for some of the different language groups in the area such as the Hmong and the Mien. 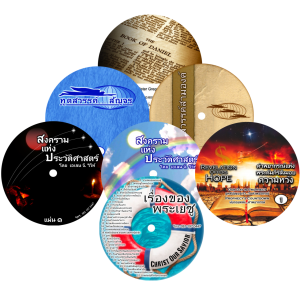 The Thailand Media Team also translates Spirit of Prophecy books into the Thai Language. There are very very few of her titles available in Thai, and so this is an urgent need for the upbuilding of the church and sharing the character of Christ to those who have never heard. Currently they are translating Our High Calling and The Desire of Ages into Thai.